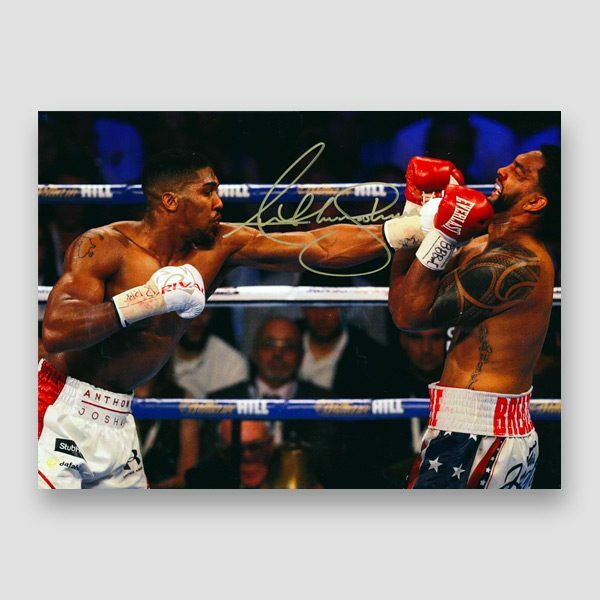 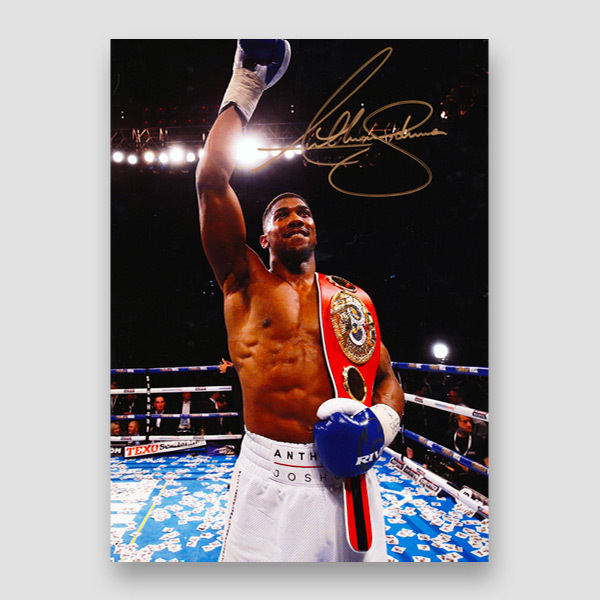 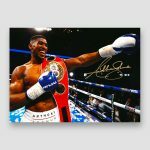 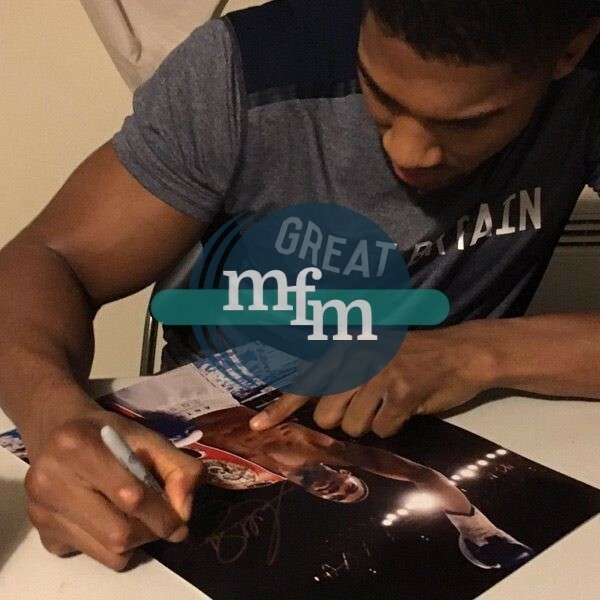 Stunning action photo print of Anthony Joshua, personally signed by Anthony Joshua with a gold sharpie pen at a signing session, A3 in size. 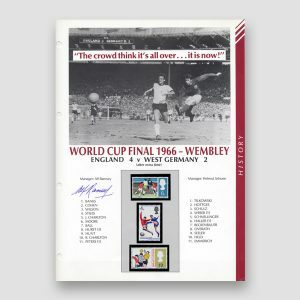 The 1966 FIFA World Cup was the eighth FIFA World Cup and was held in England from 11 to 30 July 1966. 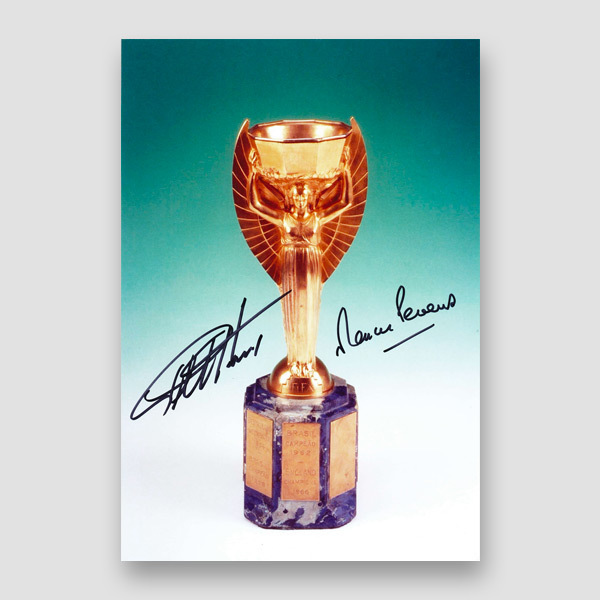 England beat West Germany 4–2 in the final, winning the Jules Rimet Trophy. 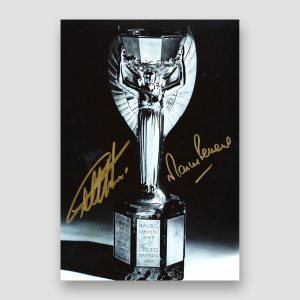 It is England’s only FIFA World Cup title. 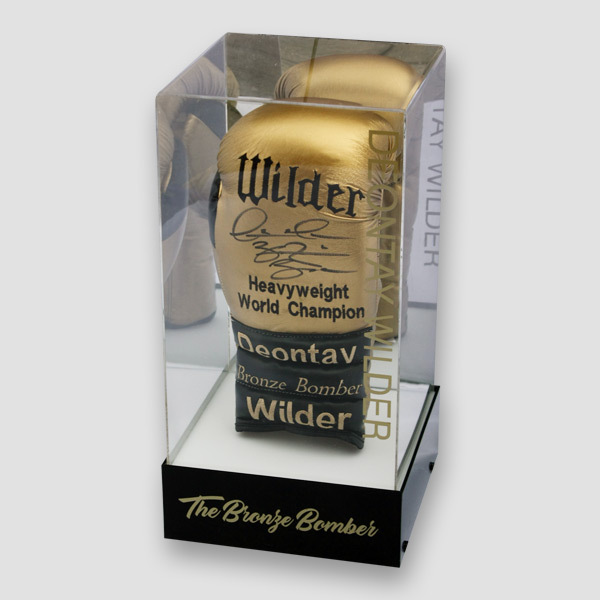 Deontay Wilder is an American professional boxer. 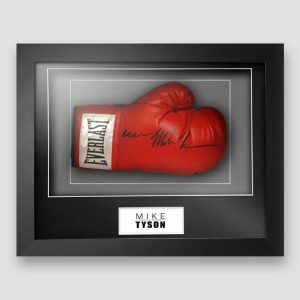 He has held the WBC heavyweight title since 2015, and in doing so became the first American world heavyweight champion in nine years, which was the longest period of time in boxing history without an American heavyweight champion. 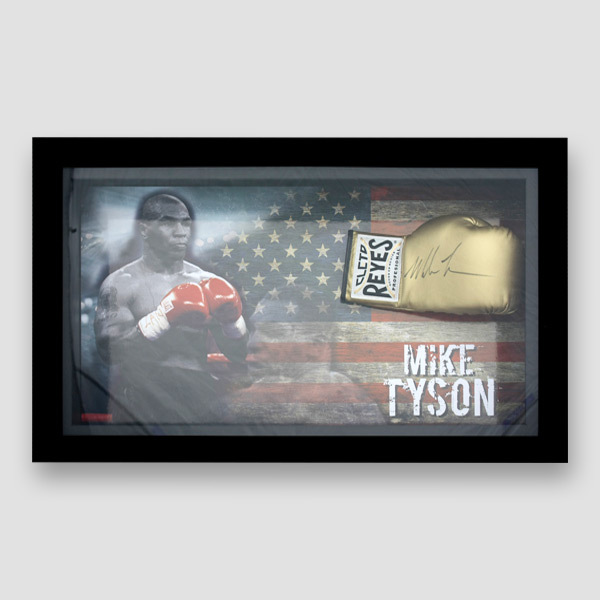 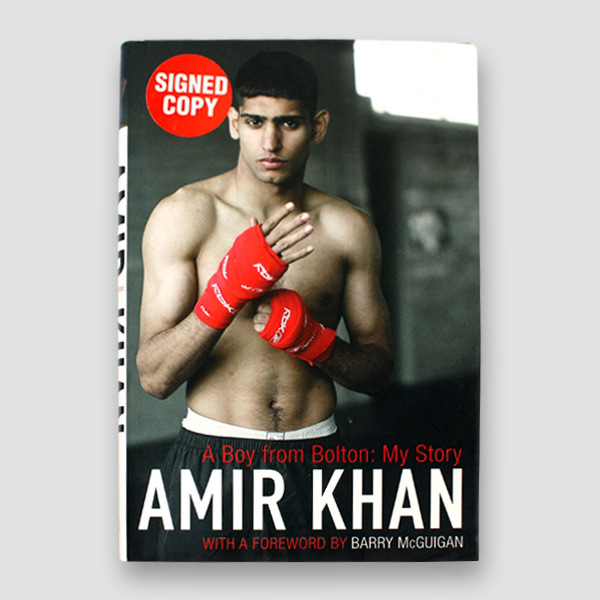 As an amateur he won a bronze medal in the heavyweight division at the 2008 Olympics. This led to his nickname of "The Bronze Bomber", which Wilder coined after Joe Louis, who was known by the nickname of "The Brown Bomber". 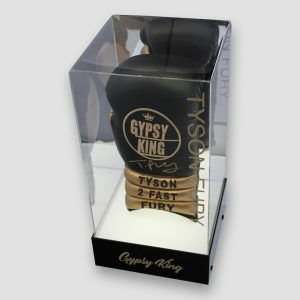 Tyson Fury has held the Ring Magazine Heavyweight title since 2015, after defeating long-reigning World Champion Wladimir Klitschko. In the same fight, Fury also won the unified WBA (Super), IBF, WBO, IBO and lineal titles. 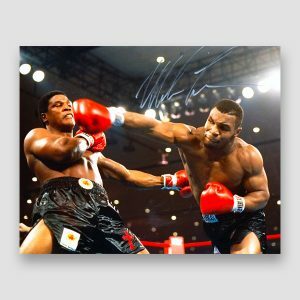 Fury remains undefeated in his professional career.